The Soilmec SC-90 is a foundation crane with an electro-hydraulic proportional control system that provides accurate and simultaneous movements. 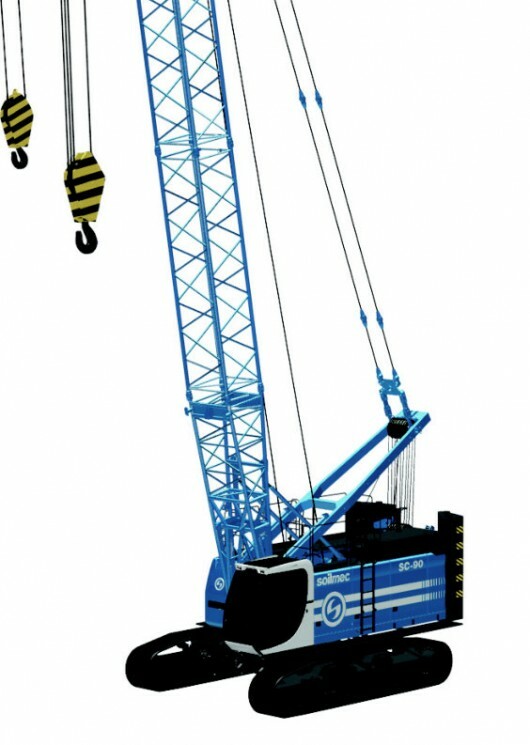 In terms of performance, the maximum capacity is 90 tons with a working radius of about 3.6 m; the diesel engine power (470 kW) and the hoisting force (297 kN) are greater than those of the main competitors’ cranes. The SC-90 to be suitable for a large range of construction projects and building sites with a key feature being the new Soilmec cab which is very comfortable for the operator and contains as innovative control panel.